A must-have for your cottage style kitchen, to hang next to those huge copper pots and age-old copper utensils! 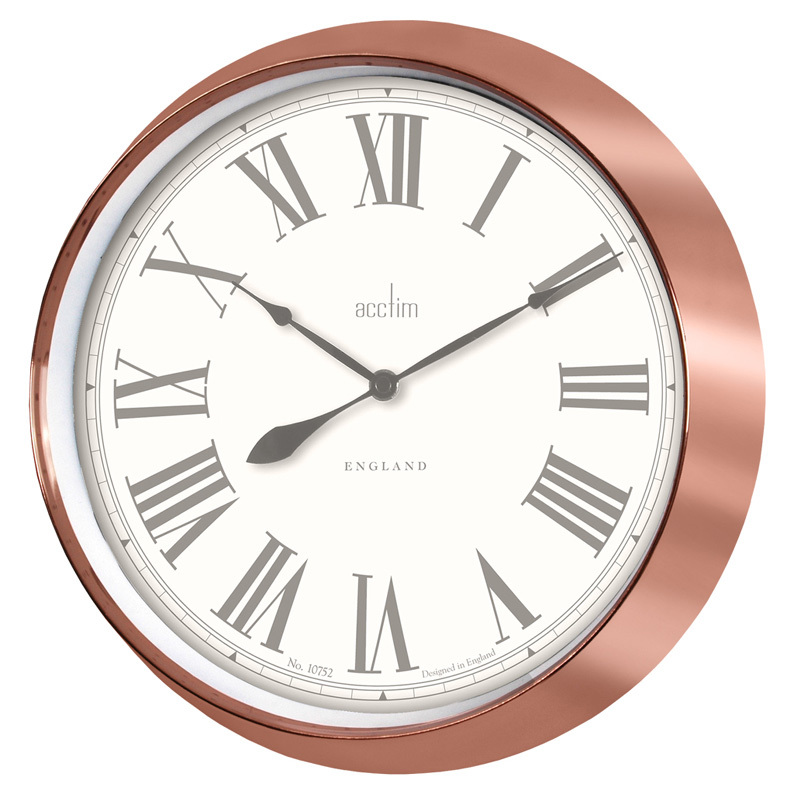 This magnificent wall clock sports a wide polished metal case in a copper finish. The case is angled inwards to catch the light and best show off the rich metallic tones. The face is white with bold Roman hour numbers and a set of spade hands. A glass lens protects the dial. Operates with a quartz movement. Size diameter 33cm.